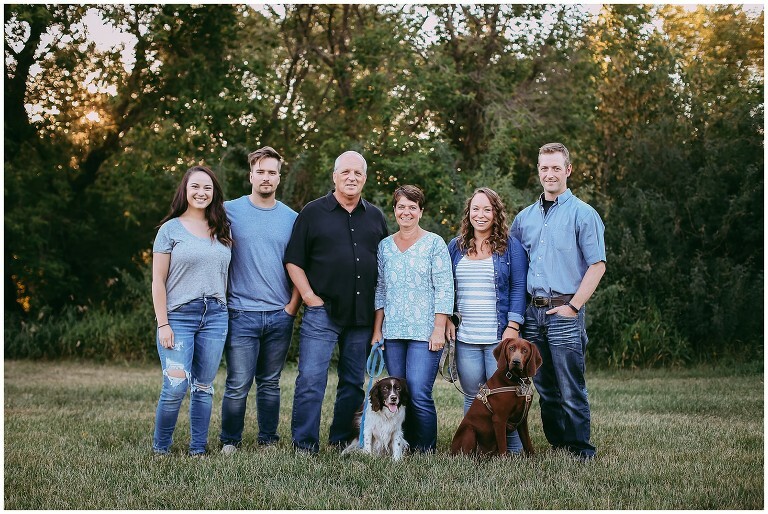 Earlier this year Sidney and her brother Karl contacted me to purchase a gift certificate for their parents as gift for family photos and in August we met up with the Casey’s at one of our favorite locations in town along with their significant others and fur babies. It was a beautiful evening for photos and we had a lot of fun laughing with everyone as we captured this family’s goofy spirit. The Casey’s had some fun custom shirts made up which described them all perfectly! Family photos make for a great present and we’re always so excited to help create a gift that will last a lifetime. Thank you!